Here is my progress on the UVs. There is a bit of distortion on the main barrel I just noticed, which I will need fix up. 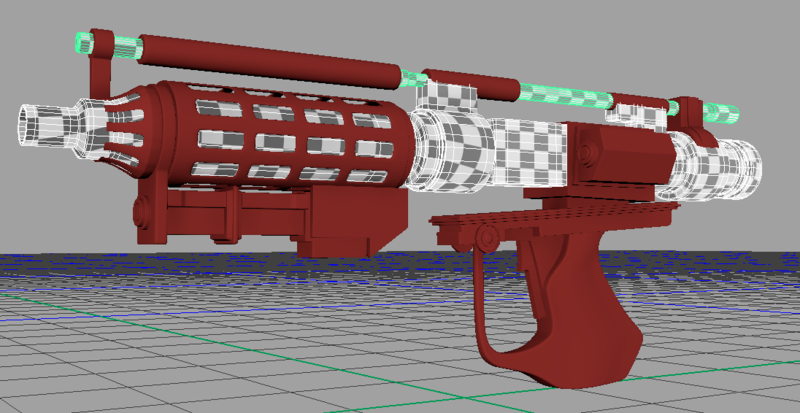 I managed to get the UVs finished on my blaster today. 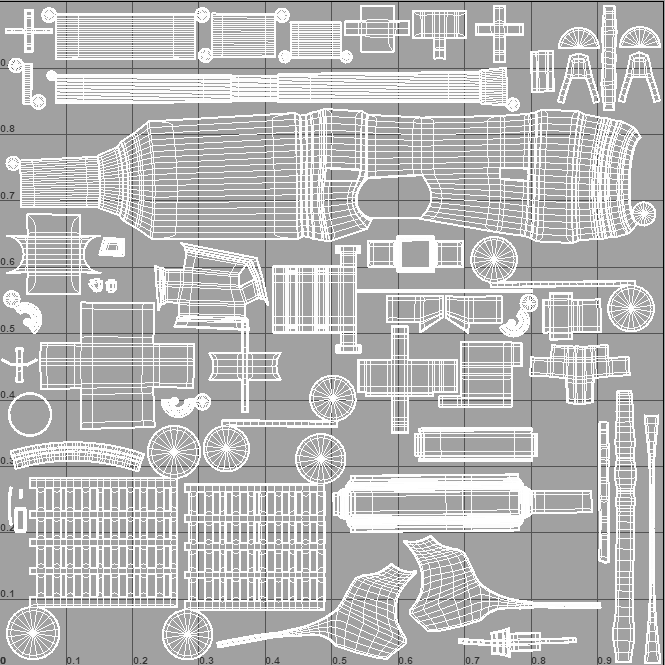 I hope to begin working on the textures for this and the droid soon once I have completed the keying homework.